Welcome! The World's #1 source for Tai Chi and Qigong! Spreading Health, Calm, Peace, and Well-being across the planet ... with the medical research to back it up! For over two decades, a quiet subtle phenomenon has grown across the planet. Each year, on the "last Saturday of April," in 100s of cities in over 80 nations, spanning 6 continents... World Tai Chi & Qigong Day mass teach-ins and exhibitions have been held around the planet all on the same day... creating a worldwide wave of Tai Chi and Qigong. 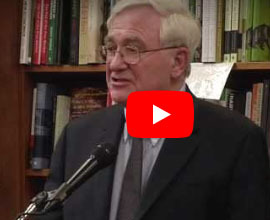 Events reached over ONE BILLION potential mass media readers/viewers with information/medical research on the mind-body practices of Tai Chi and Qigong. This event has been officially proclaimed by government officials and govt. bodies globally. 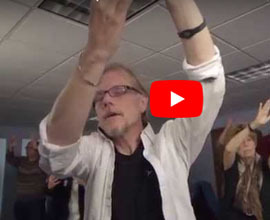 David Dorian Ross (Tai Chi Champion/PBS Presenter) dubbed it "24 Hours of World Peace." Why do we do this? 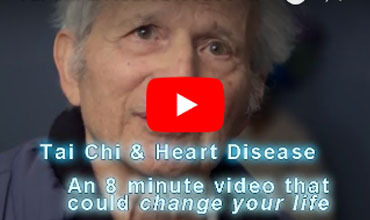 The science is in, mind-body practices like Tai Chi and Qigong could save the world TRILLIONS of DOLLARS in saved health costs (if taught through society at all levels). Therefore, this site works year round, and up to this annual event educating people worldwide about the profound health and life benefits of Tai Chi and Qigong. WorldTaiChiDay.org connects visitors to local teachers via our FREE Events/Schools Directory. Our event connects the global community of Tai Chi and Qigong enthusiasts, groups and teachers of all styles, as one family, providing the world a vision/example of how people worldwide can cooperate and connect to advance personal and global health and healing. 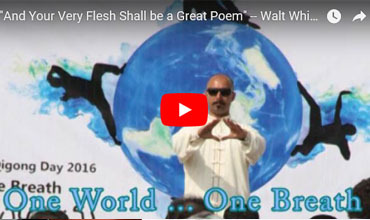 The event's motto is "One World... One Breath". 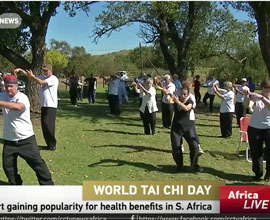 WorldTaiChiDay.org has connected over ONE MILLION people to local Tai Chi & Qigong teachers and schools in our effort to create a clearer, calmer, healthier world, another FREE public service to teachers and the public from World Tai Chi & Qigong Day. Can't find Tai Chi or Qigong classes in your area or that will fit your schedule? 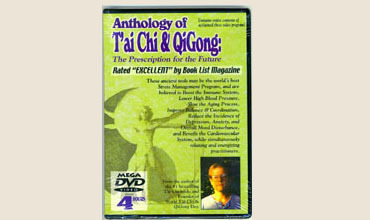 Our Official Sponsor, SMARTaiChi.com offers DVDs, CDs, and Books to help you get started exploring Tai Chi and Qigong. Also, click "Student" tab on this site for helpful information, free tutorials, etc. Why should we Share Tai Chi & Qigong with the world? ... THE SCIENCE IS IN! Tai Chi & Qg Changing People's Lives! A Profoundly Moving Video. "Your WTCQD email newsletters are great -- really informative, playful, energetic and fun! Some of my students also receive them." Click "Join Our Newsletter at top of page to get our FREE weekly Ezine "All Things Tai Chi & Qigong" to stay up to date on breaking TC/QG Medical Research and other related information. We connect the world family of Tai Chi and Qigong of all styles through our weekly newsletter Ezine. To search for Tai Chi or Qigong Schools/Teachers in your area, click on EVENTS tab on top menu, and select "Event Listing."